2014 is over so it's time to look back on my favorite meals, best burgers, biggest surprises, and most enjoyable scenic drives from last year. Check out my list after the break. BEST SANDWICH This one was easy! 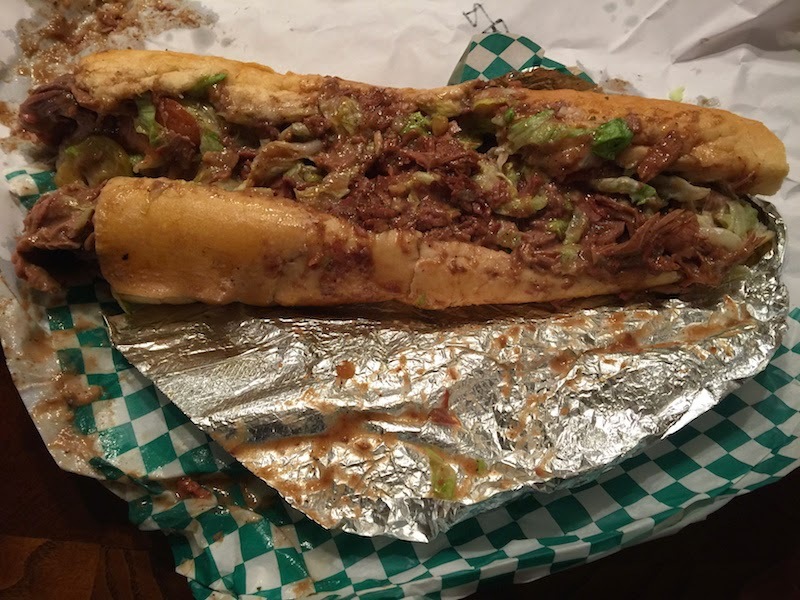 Hands-down, my favorite sandwich of 2014 was the roast beef po' boy at Parasol's Bar and Restaurant in the Garden District of New Orleans. First off, it was a sandwich I had never tried anywhere, so it had the element of discovery. Secondly, after trying the roast beef po' boy at Johnny's Po Boys and Tracey's Restaurant and Bar, the sandwich at Parasol's held its place as my favorite sandwich. And finally, its layers of thick roast beef and creamy gravy were so good, I had to go back at the end of my vacation for another one! Read my full review of Parasol's Bar and Restaurant. BEST MEAL The most enjoyable meal I had was the Sunday dinner buffet at Souls Restaurant in Oakland. Lots of family, and lots of great soul food. Read my full review of Souls Restaurant. 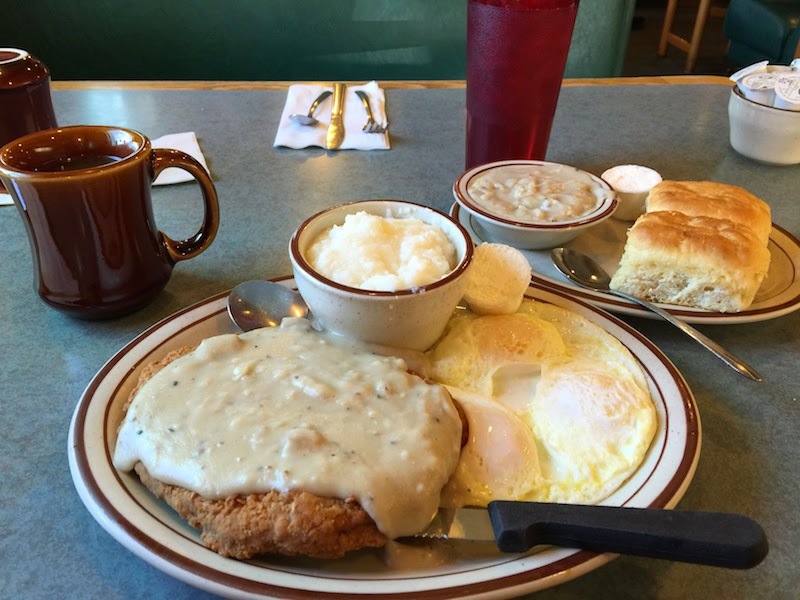 BEST VALUE For a delicious meal with enough carbs and calories for an entire day, the country fried steak with eggs, biscuits, grits, and gravy at Omar's Hi-Way Chef in Tucson cannot be beat. Read my full review of Omar's Hi-Way Chef. 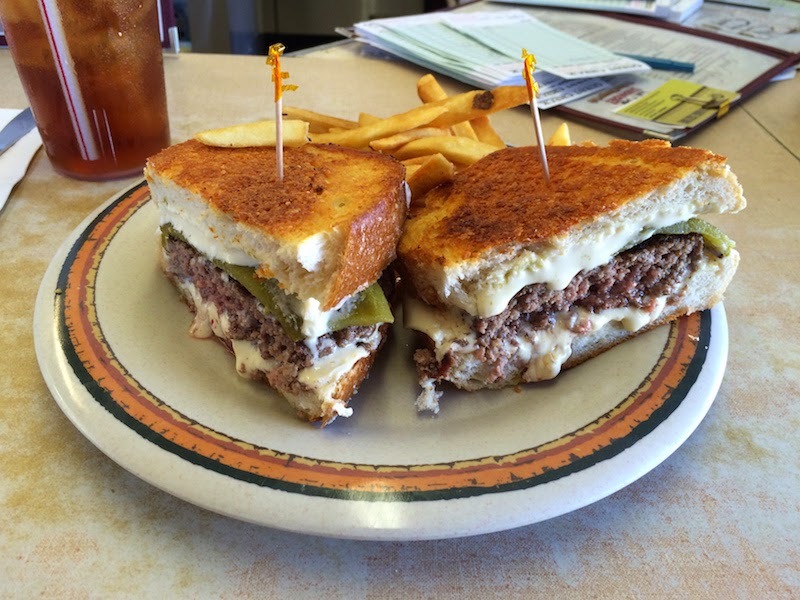 BEST BURGER The Brian Burger at Emma Jean's Holland Burger in Victorville, California is more than just a hamburger; it's also partly a grilled cheese sandwich. It's cooked to order and served on slices of thick cheese toast. Read my full review of Emma Jean's Holland Burger. 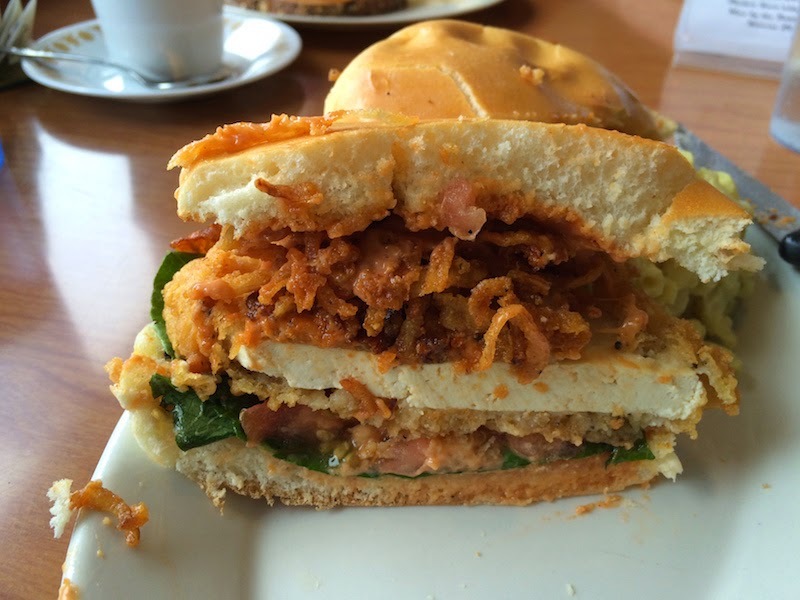 BIGGEST SURPRISE Without a doubt, the vegan sandwich at Cornbread Cafe in Eugene, Oregon threw me the biggest surprise of anything I ate in 2014. I guess I was going in with low expectations, but the Eugenewich is a great sandwich by any standard. Delicious, satisfying, and like nothing I had ever eaten before. 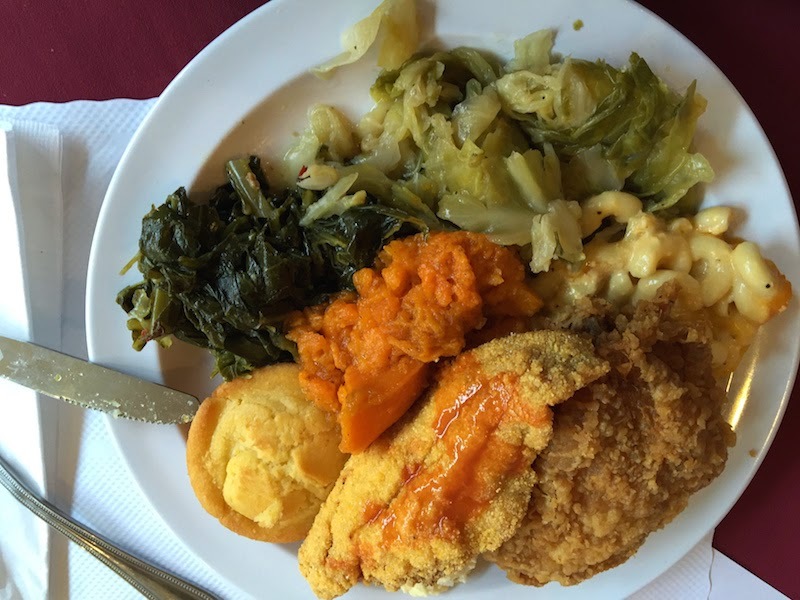 Read my full review of Cornbread Cafe. BEST SCENIC DRIVE Another easy choice. The beautiful weather, quiet empty highways, and giant cactus at the Saguaro National Park near Tucson made for a wonderful afternoon. The scenic drive at the park has several stops along the way with trails to walk among the cactus. 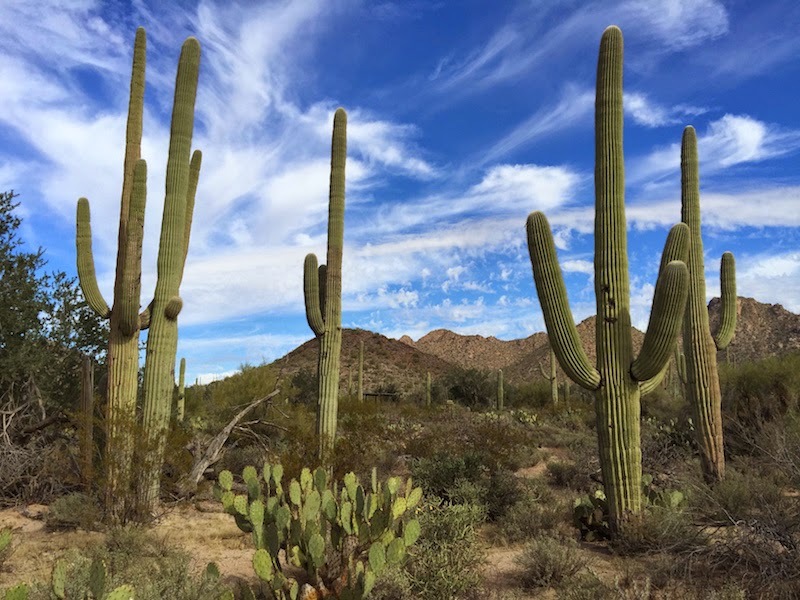 Read my full review of Saguaro National Park. Those were my highlights of 2014. 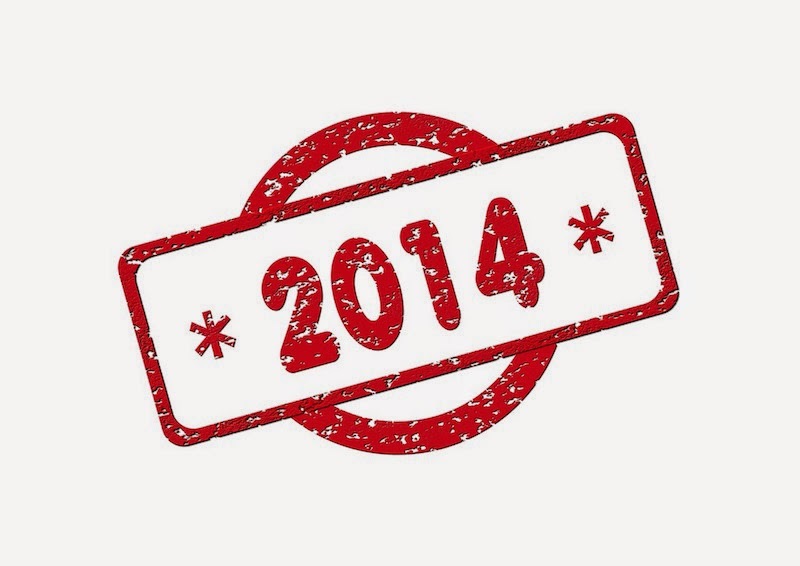 How was your 2014? Tell me about favorite meals and drives of 2014 in the comments below.